Latvian Defence Ministry does not deny that termination of permits to access official secrets for workers of the defence system is one of the methods to help determine possible spies without handing them over to court, the ministry notes. Espionage in favour of another country in Latvia is a criminal offence that is punishable with a sentence of up to 20 years in prison. 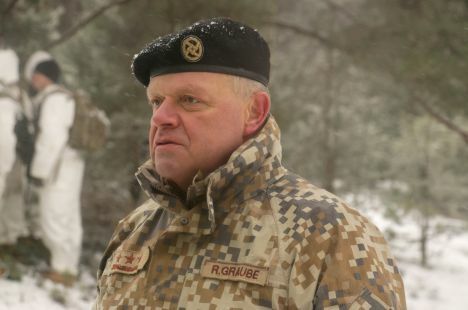 In an interview to LTV, former commander of Latvia’s National Armed Forces Raimonds Graube did not deny the possibility of there being spies in Latvia who report sensitive information to Russia or other countries. Graube was asked if there had been cases during his time as commander of NAF when untrustworthy people were simply fired instead of being tried by court. Graube said there are multiple methods to prevent information leaks if there is no way to legally prove a connection. One of the methods employed by many countries around the world is putting people in different posts or firing them. «Additionally, permit system is one method to restrict access to official secrets. In the case with armed forces it means automatic lay-off. We have seen many such cases,» Graube said. Commenting on the statements made by the former NAF commander, Foreign Affairs Ministry’s representative Kaspars Galkins said that restriction of access to official secrets is a way that can help prevent possible espionage activities. Espionage is synonymous with betrayal of state. It is the worst crime an official can commit against their country, their colleagues and any Latvian resident, said Galkins. The decision to not issue a permit allowing access to official secrets immediately does not mean an official is accused of espionage. Galkins said the current order, under which every official and soldier needs to have access to official secrets, has proved its efficiency and has probably reduced the risks of espionage in this sector. «This kind of practice is also found in other NATO member states,» said Galkins. Careful evaluation if a person can be trusted to keep sensitive information secret is an effective measure to prevent possible spies from infiltrating the defence sector to spy in favour of another country.